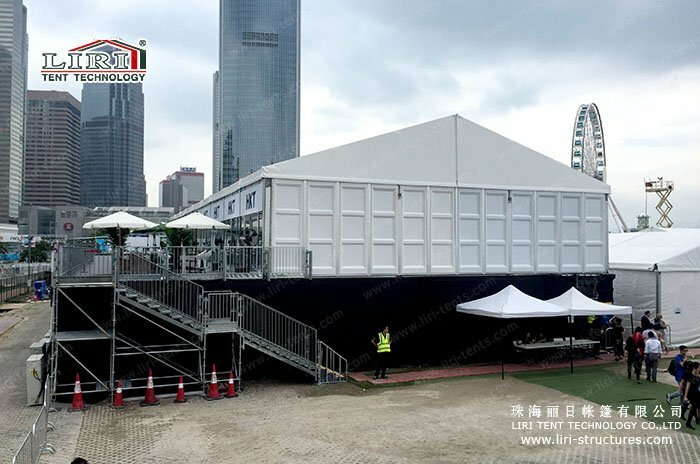 Regarding the increase of outdoor event, traditional buildings have been unable to meet with the needs of these event activities. 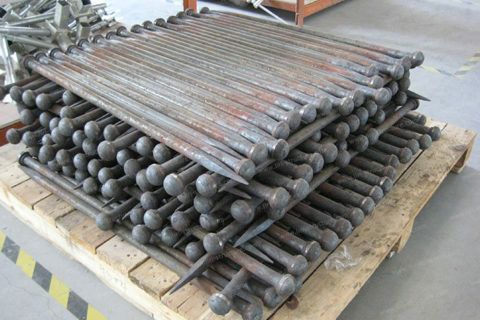 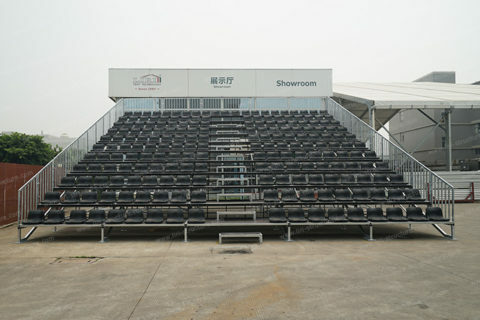 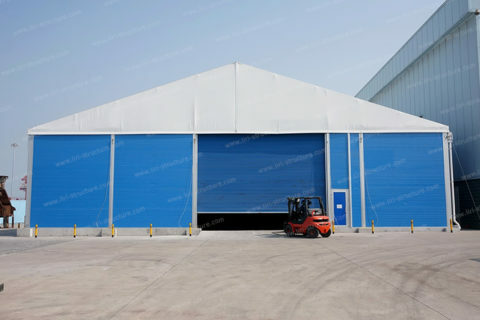 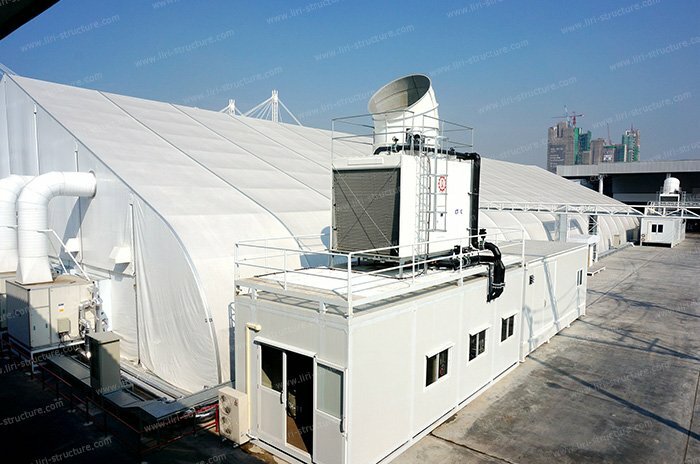 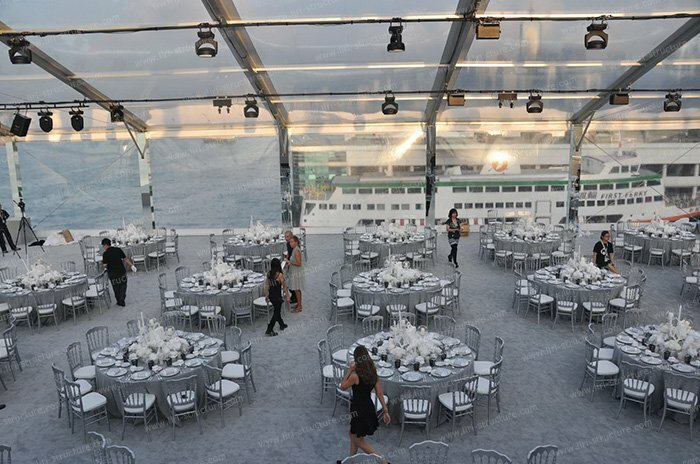 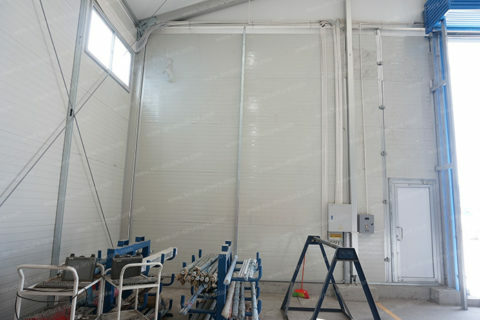 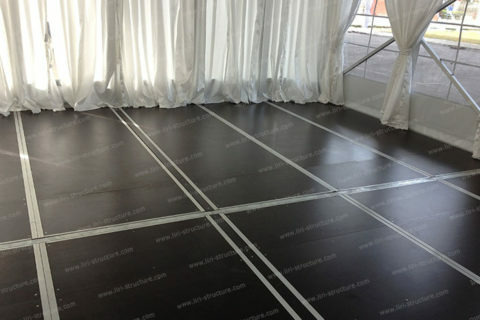 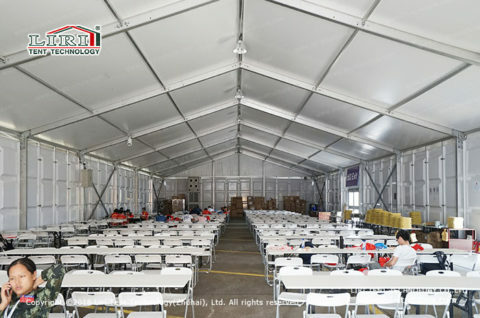 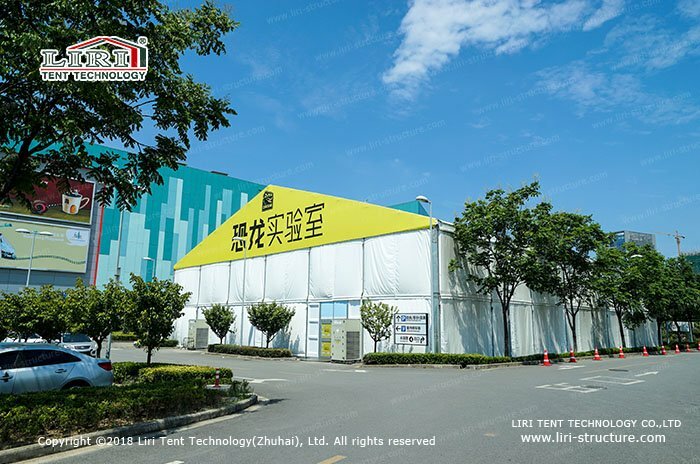 In order to solve this problem, we can provide clear-span 20m, 25m, and 30m big event tent. 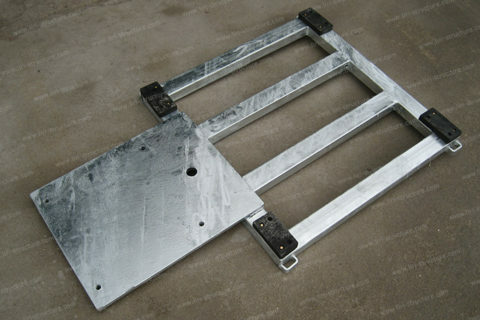 You can increase or decrease by 3m or 5m bay distance. 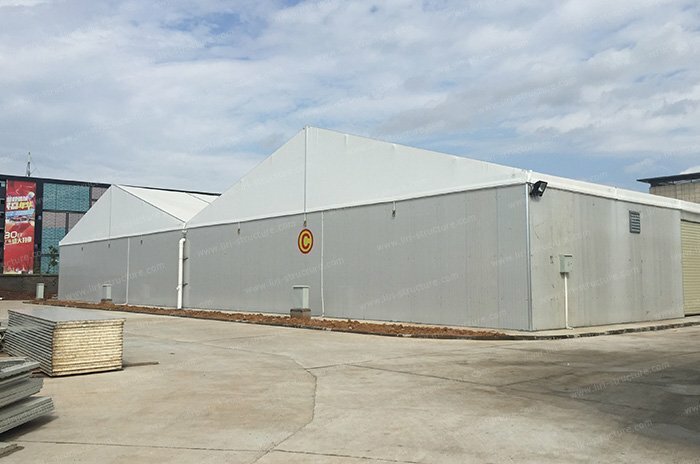 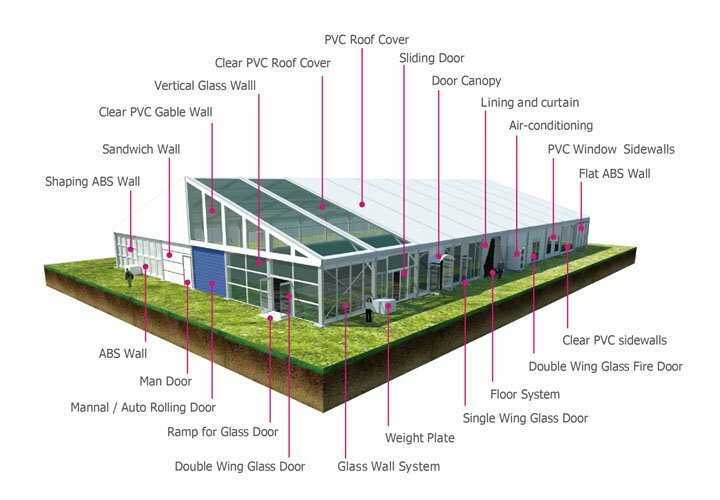 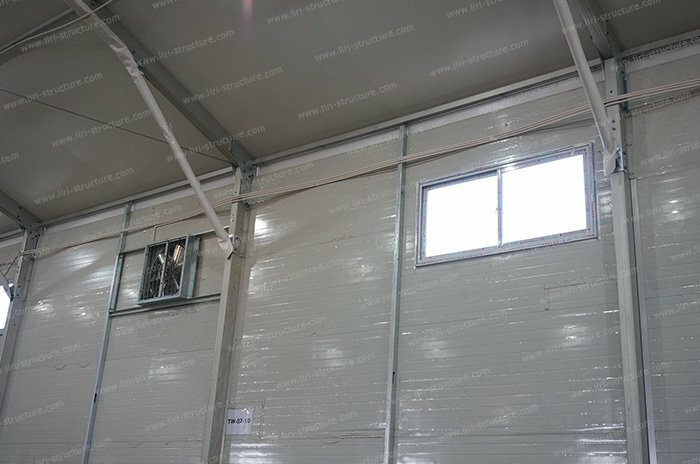 Without any pillars inside, the space utilization reaches 100%, and it can be used as a temporary building or a semi-permanent building. 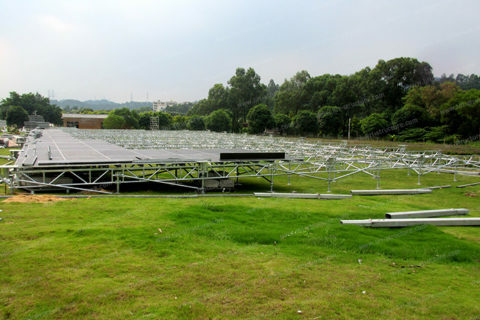 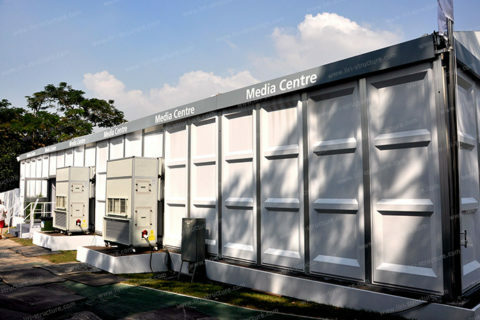 Nowadays, there are many large-scale outdoor events and many temporary spaces are required. 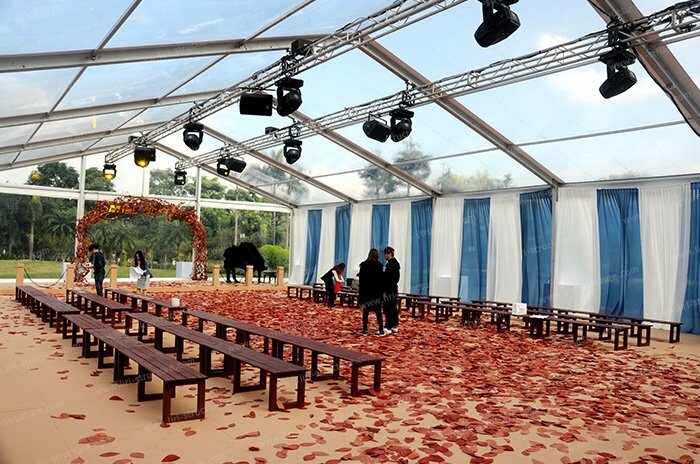 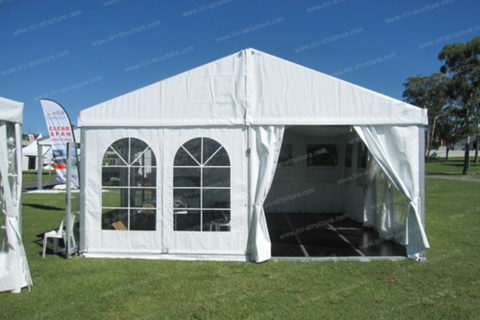 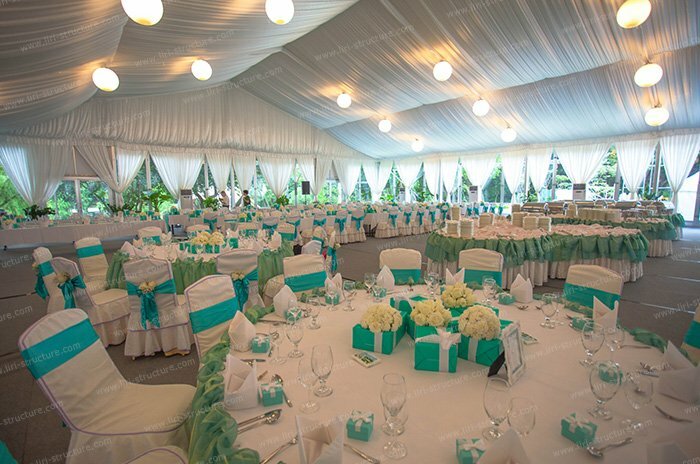 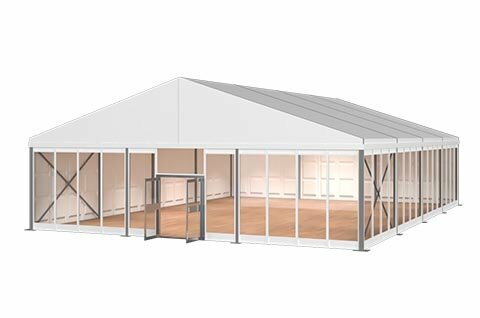 The big event tent is suitable for outdoor weddings, commercial shows, and festival parties. 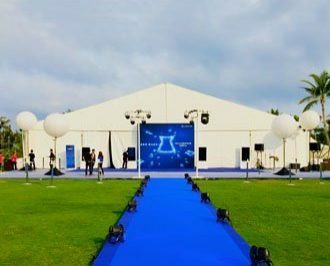 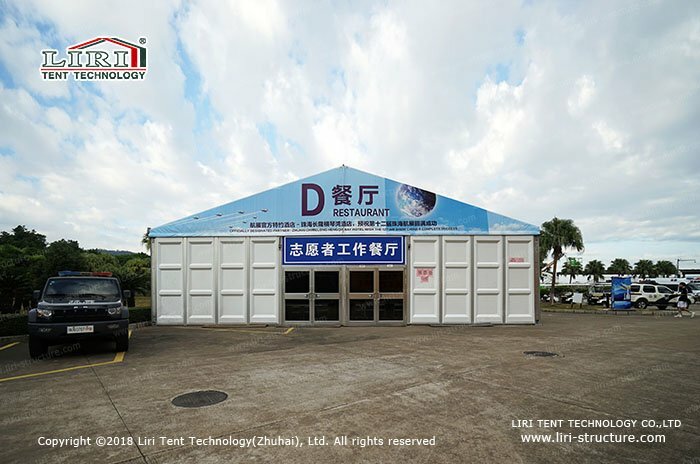 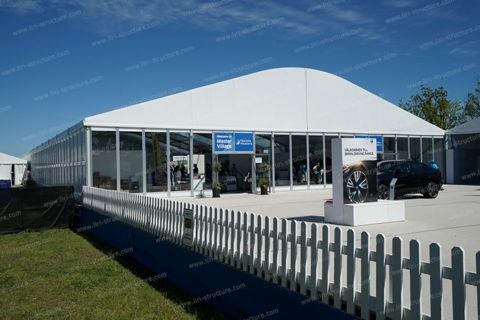 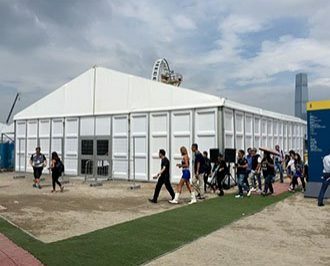 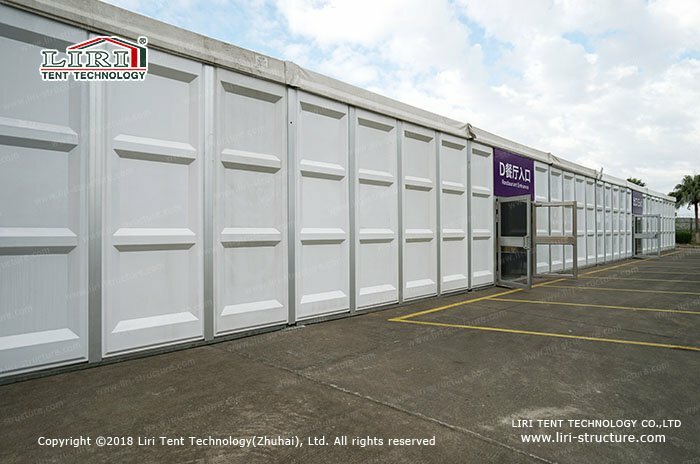 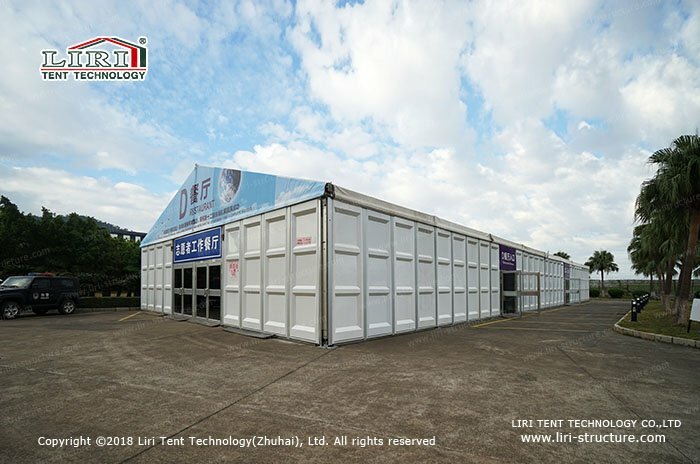 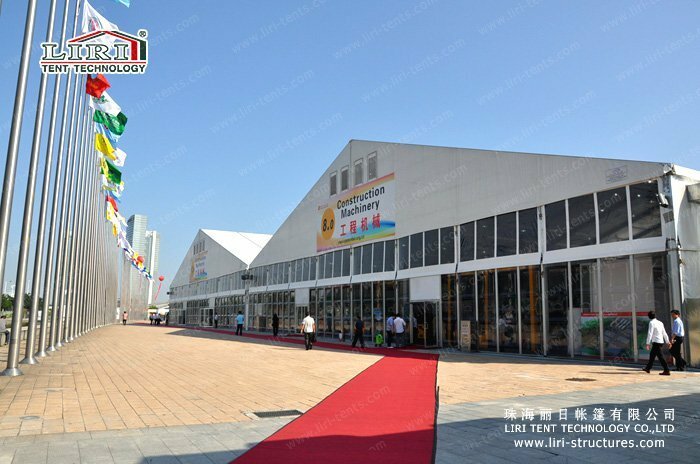 The big event tent from Liri Tent, a modular structure and it is easy to assemble and disassemble. 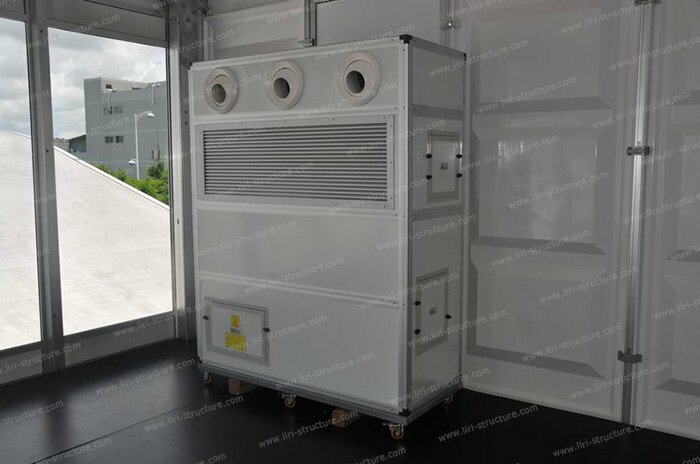 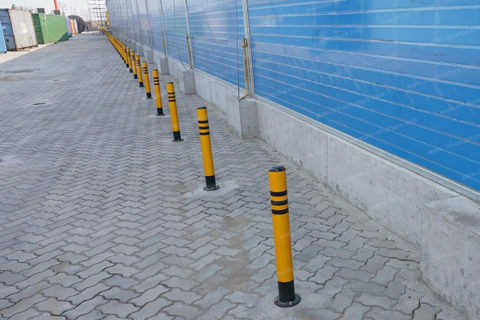 It can cover tens of thousands of square meters of land or venue shortly. 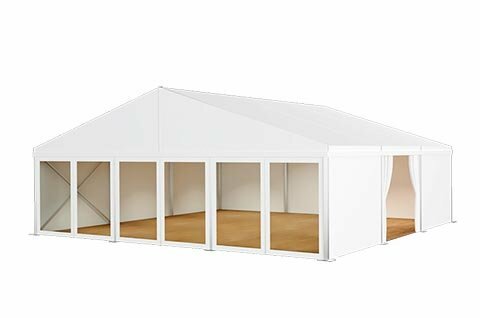 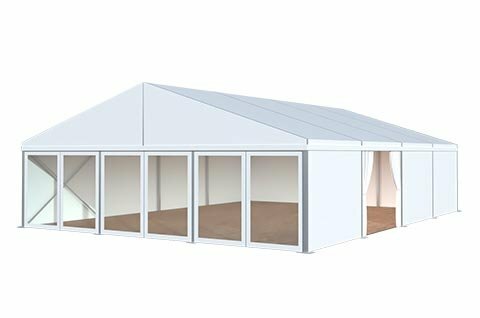 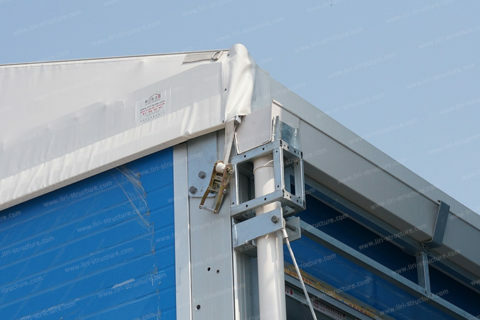 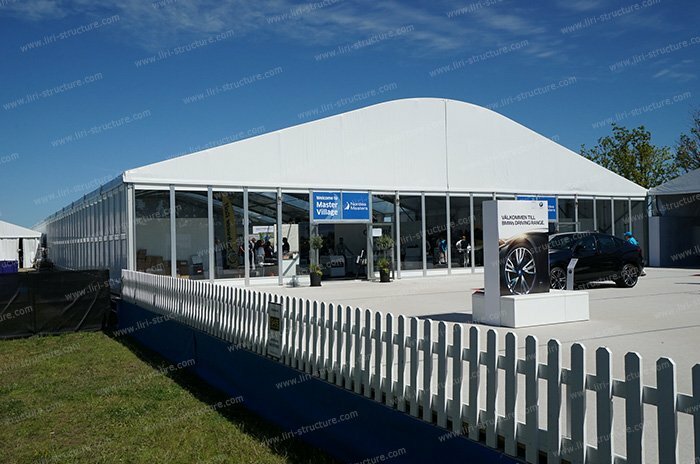 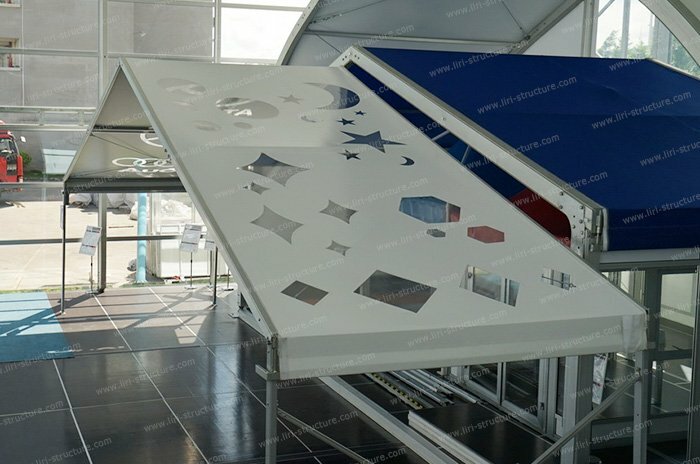 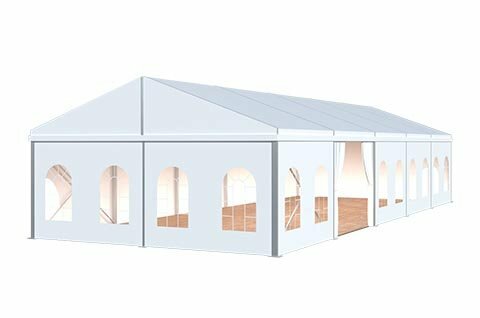 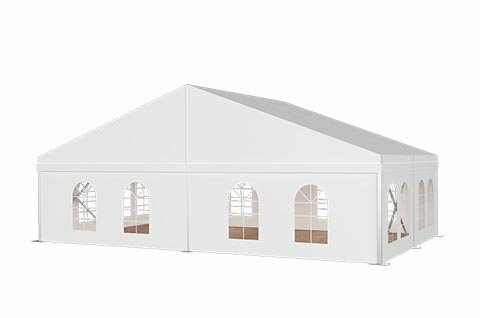 The frames of the big event tent are Reinforced aluminum alloy 6061/T6 extruded profile, surface anodized finish, it is safe and reliable. 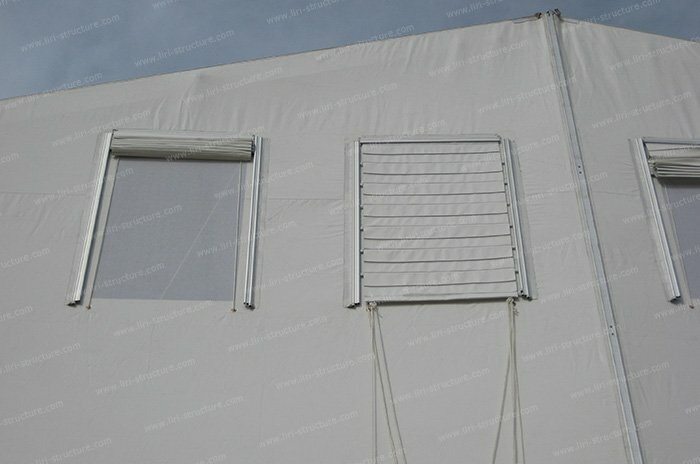 The Roof cover is Double PVC coated polyester, UV resistant, fire retardant under European Standard M2. 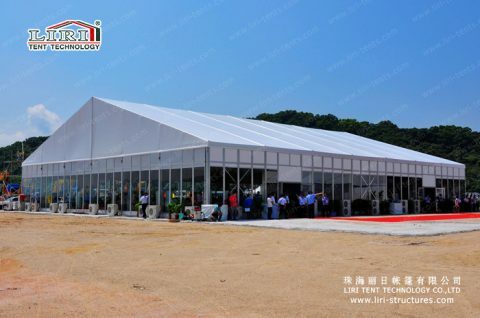 Big event tent can last for 3-5 years. 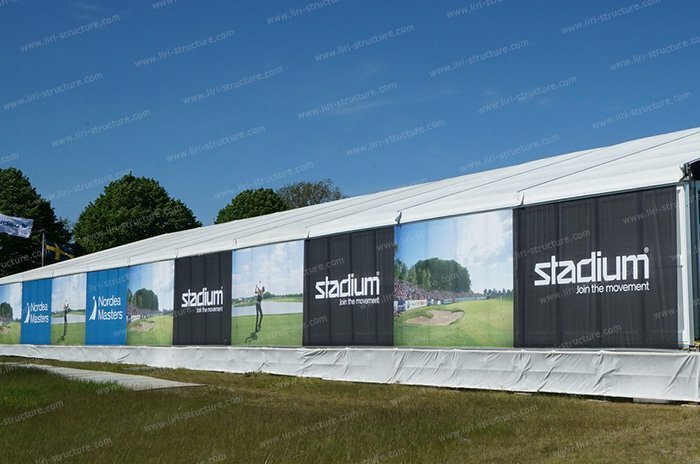 In addition, we can also carry out stylish LOGO and other personalized designs on the tarpaulin according to different activities. 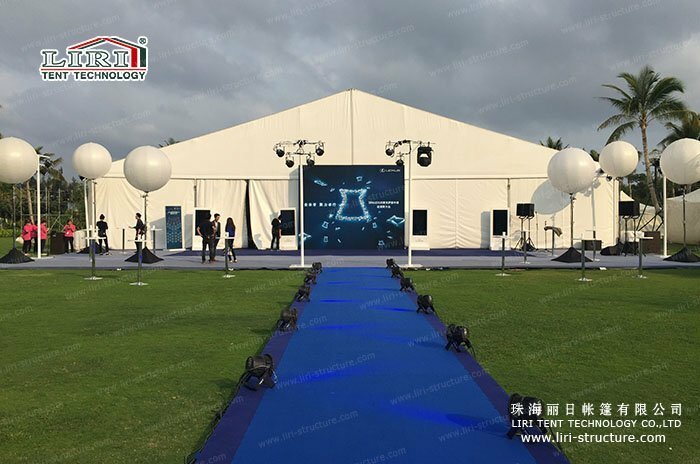 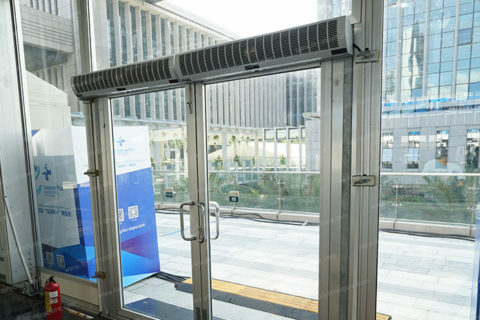 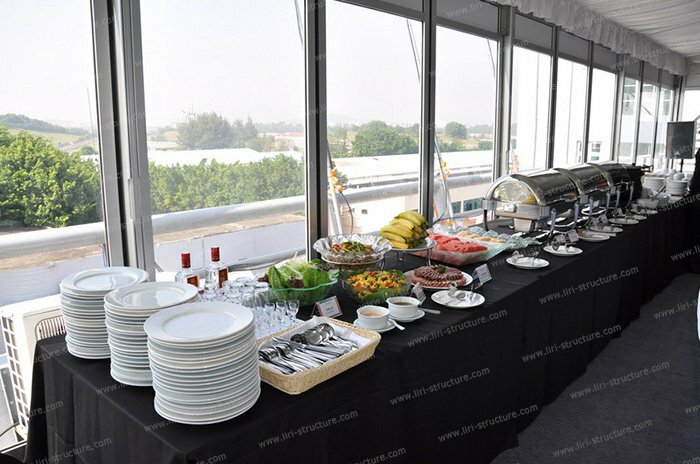 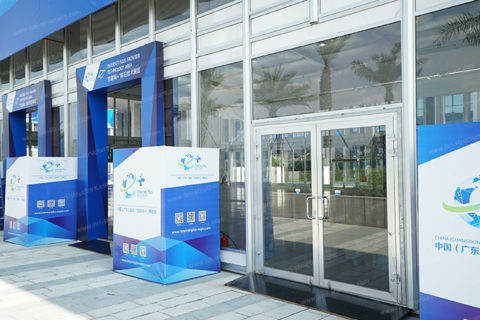 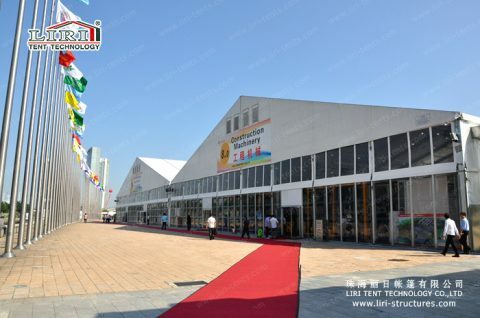 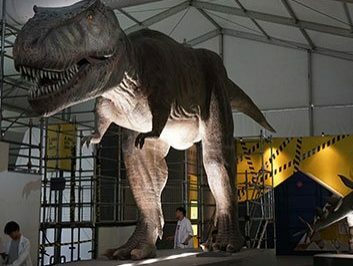 In addition, Liri Tent has also provided many other accessories for the big event tent. 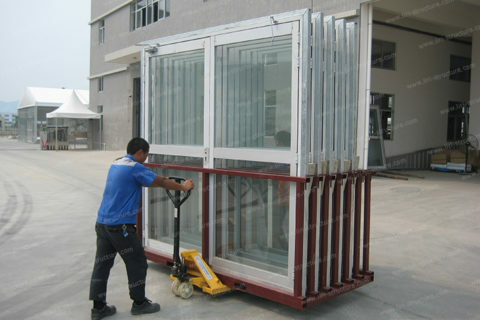 such as lighting, decorative ceilings, carpets, air conditioners, glass or ABS walls, double wing glass doors, etc. to meet your various requirements.